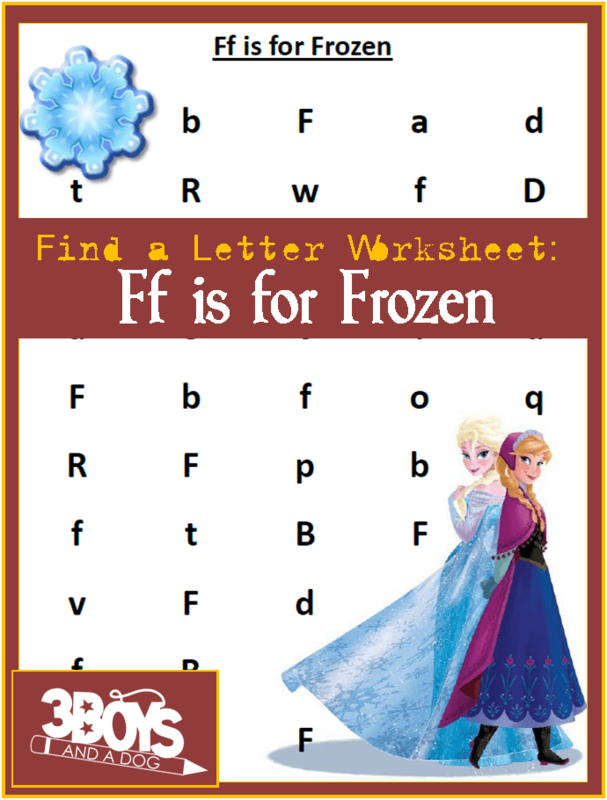 These Find the Letter Printables: F is for Frozen will help your preschool and early-elementary aged children work on recognizing the letter F among many other letters of the alphabet. Just in time for the cold winter months, this Frozen themed worksheet is a perfect extra for your reading preparedness studies! You can have the kids learn shapes by putting a circle around the capital ‘F’ and a square around the Lower Case ‘f’. They could use different colors: for example, green around the “big F” and blue around the “little f”. You could also grab a set of Do A Dot Art Markers (affiliate link) so they can just dab over the right letters! However you decide to use these sheets, they are a simple way to reinforce alphabet recognition!